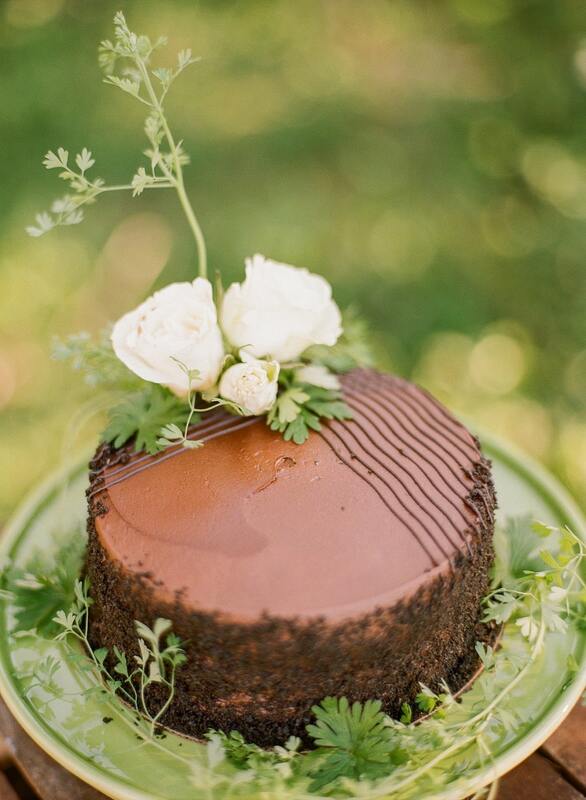 I adore this chocolate cake! I love how Becky added a few blooms to the side to give it a feminine touch. This is such an easy idea, especially if you have any blooms that broke while arranging your flowers. Put them to good use! 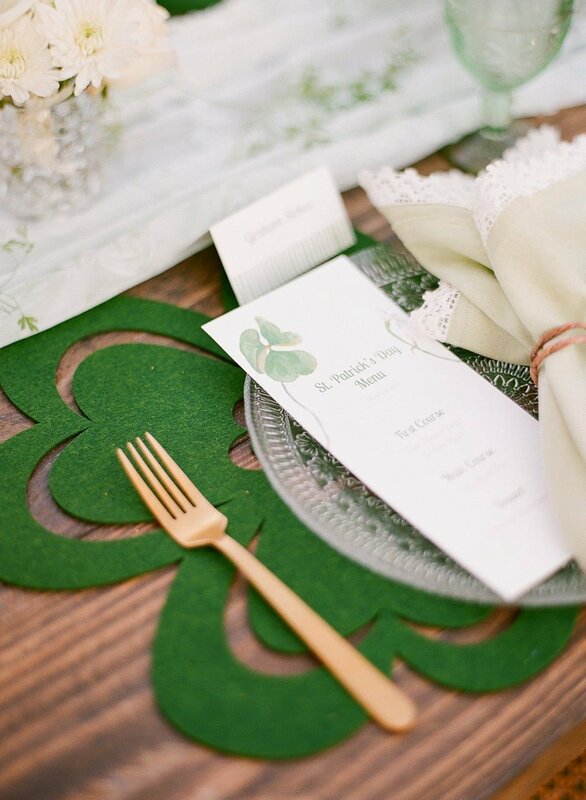 I love the use of the felt shamrocks under the cut glass plates. It’s super simple yet elegant. 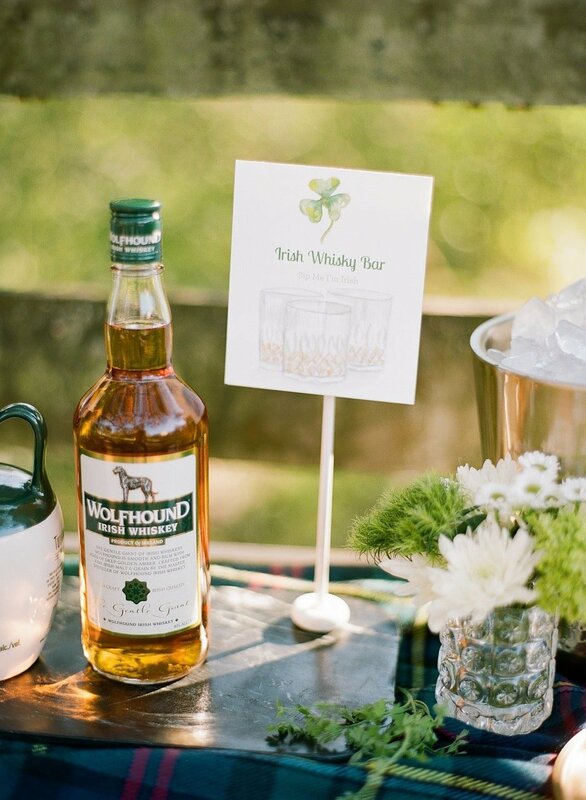 St. Patrick’s Day is clearly not complete without an Irish Whiskey Bar and she set up a perfect one! 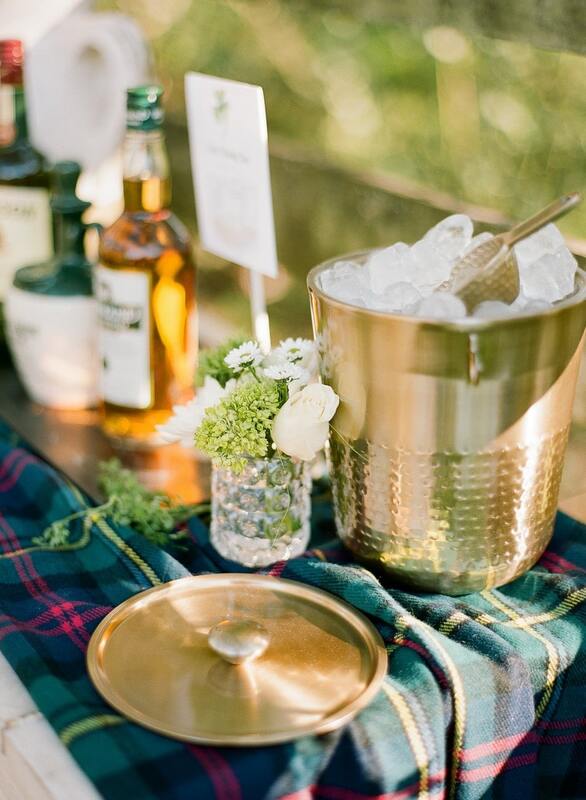 I adore the plaid throw across the top, the gold ice bucket, and of course…all the whiskey! If you need an Irish cocktail, here is my Shamrock Sour that I love to make for St. Patrick’s Day! 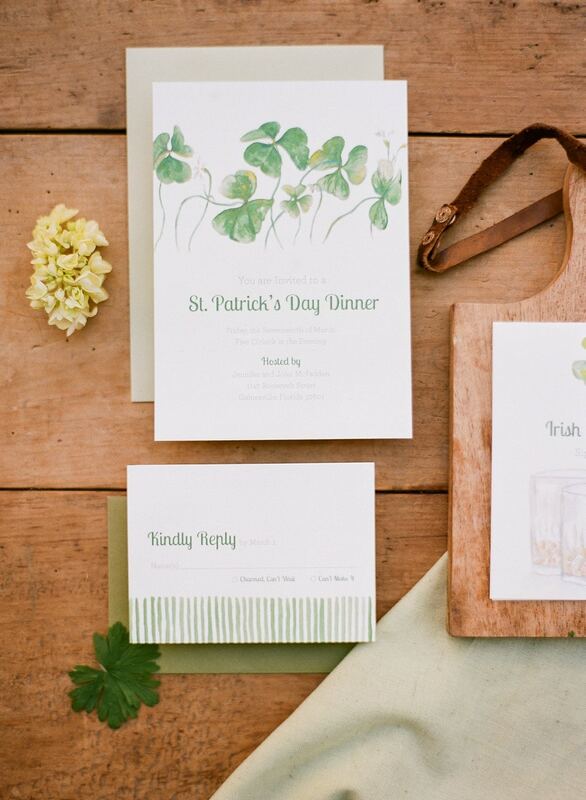 The paper details are just darling and I adore the soft greens! They’re hand painted which is such a gorgeous touch! 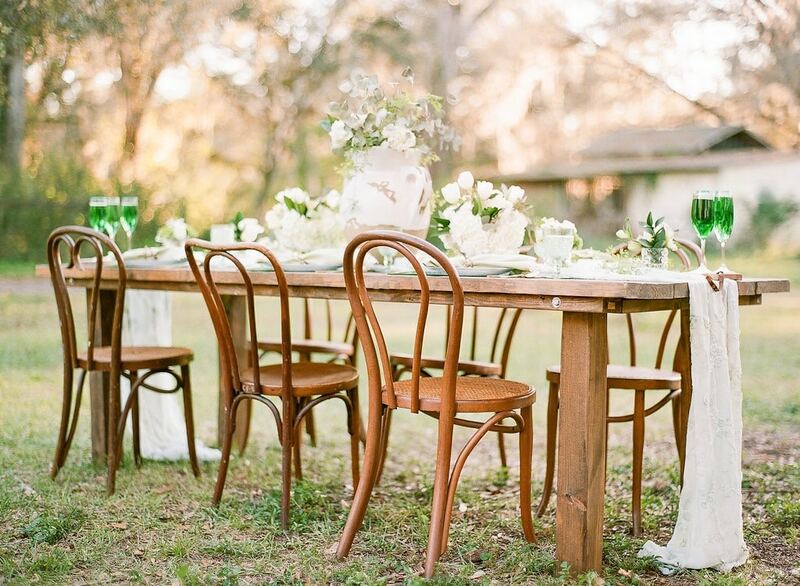 Truly, this is beautiful enough for a wedding reception or a casual backyard gathering. 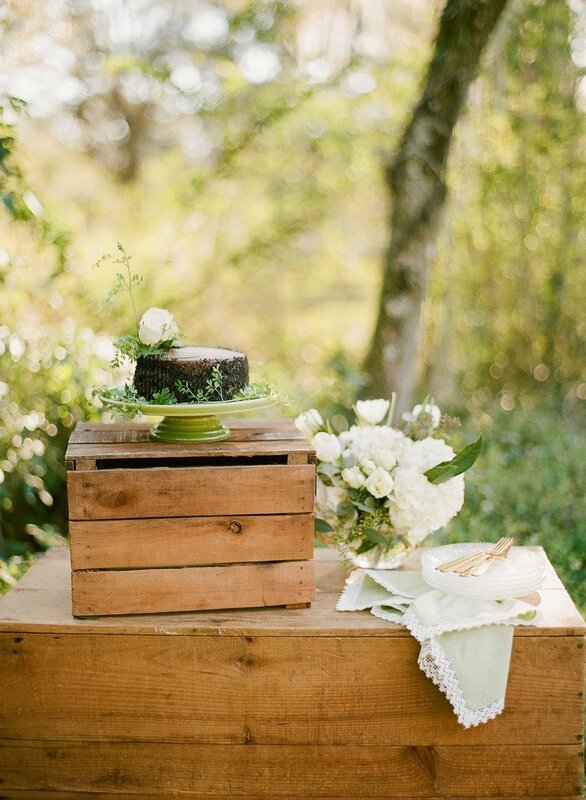 I love when entertaining is versatile and simple! 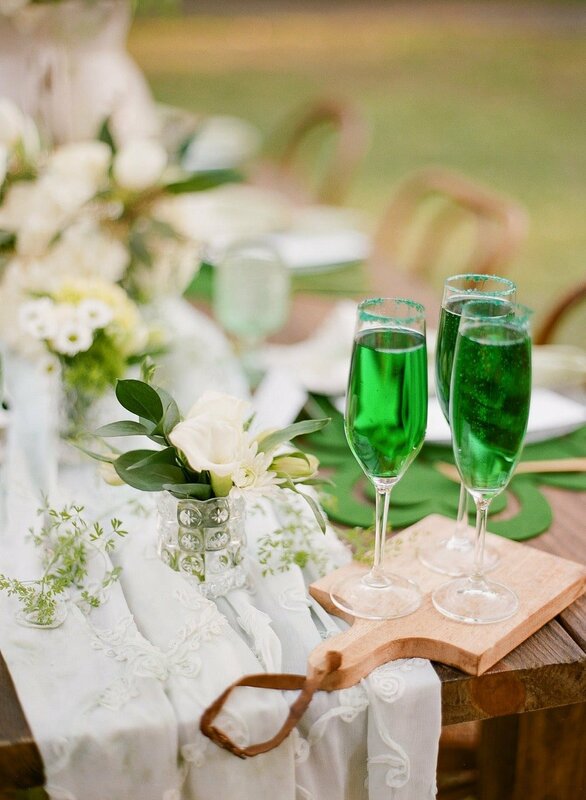 St. Patrick’s Day entertaining doesn’t have to be filled with cheesy decorations, it can, in fact, be elegant and pretty. 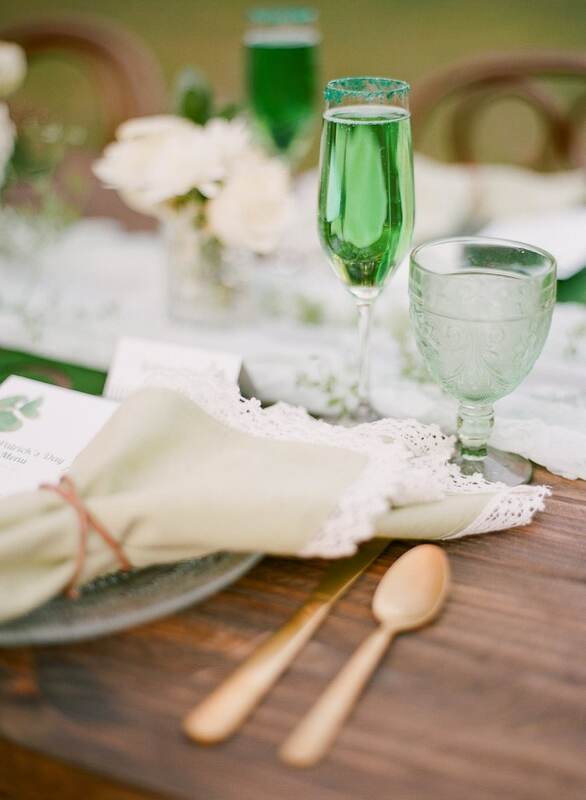 For our St. Patrick’s Day dinner we prepared an al fresco farm table and decked it out with cut glass dinnerware, felt shamrock chargers, muted florals, and the most beautiful watercolor shamrock stationery. 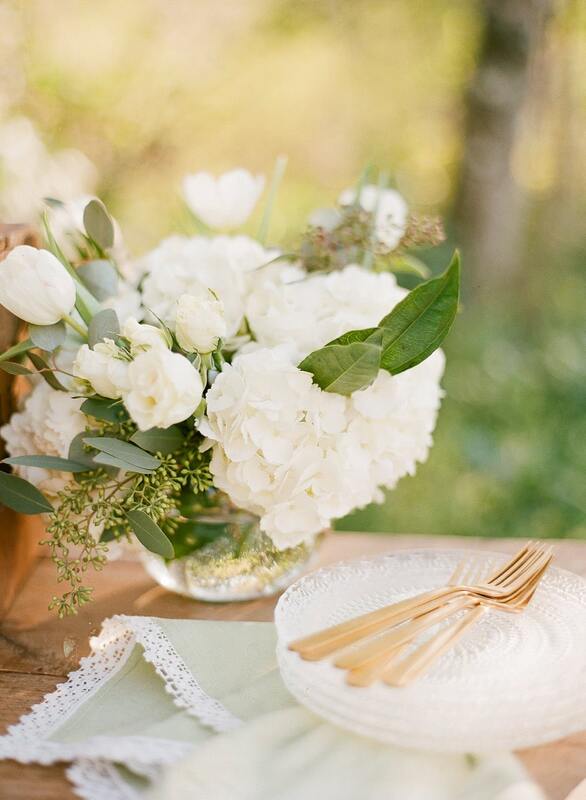 Soft green palette with white and pops of dark green. 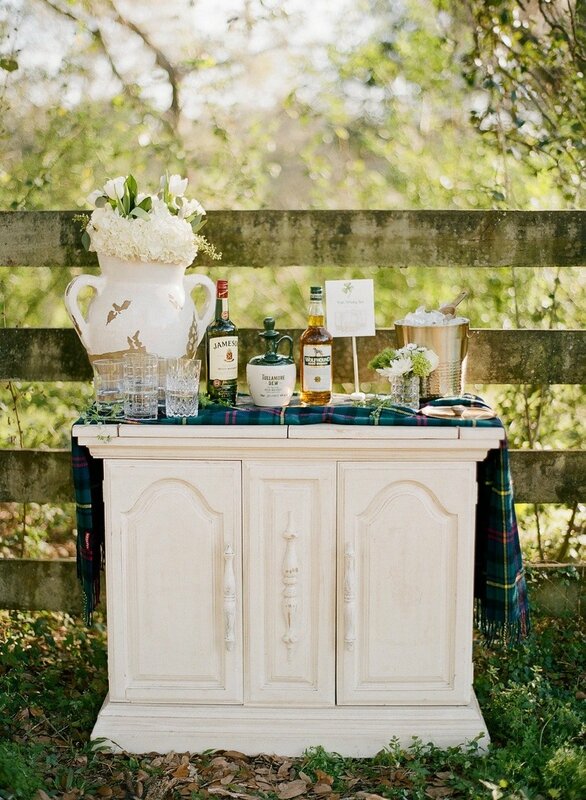 An after-dinner whiskey bar features Irish whiskey options and Waterford crystal glasses of course and a green plaid scarf which serves as a decor. 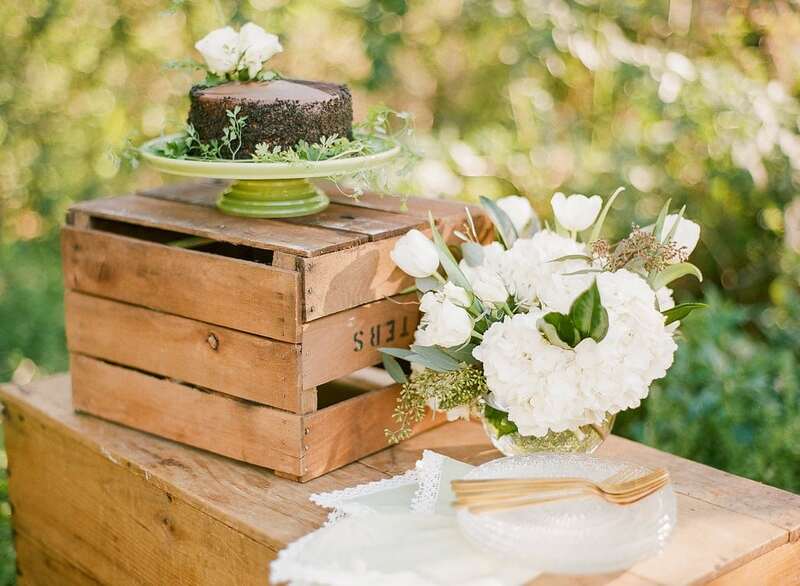 A chocolate cake nestled atop a vintage wood trunk and crate ties in with the rustic farm table and the Le Creuset green cake stand is the perfect touch for a St. Patrick’s Day treat. P.S. 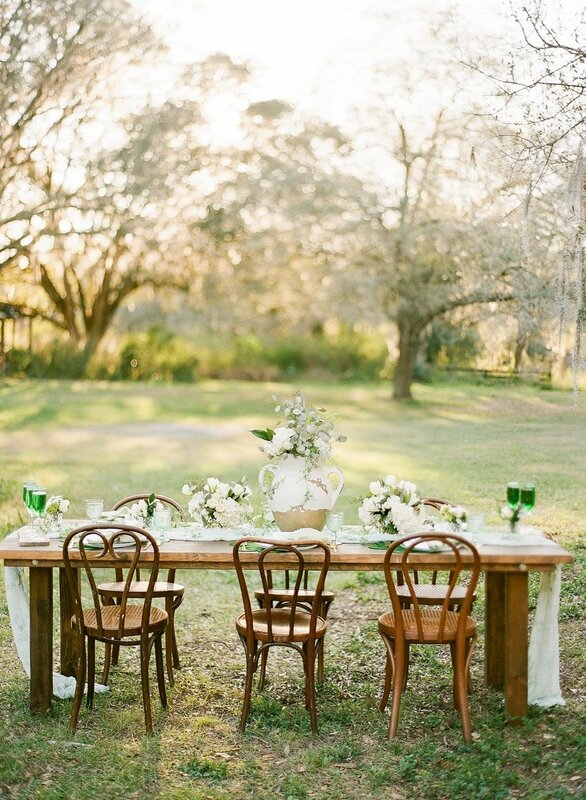 For more St. Patrick’s Day inspiration, check out another tablescape here! Hi from Ireland! 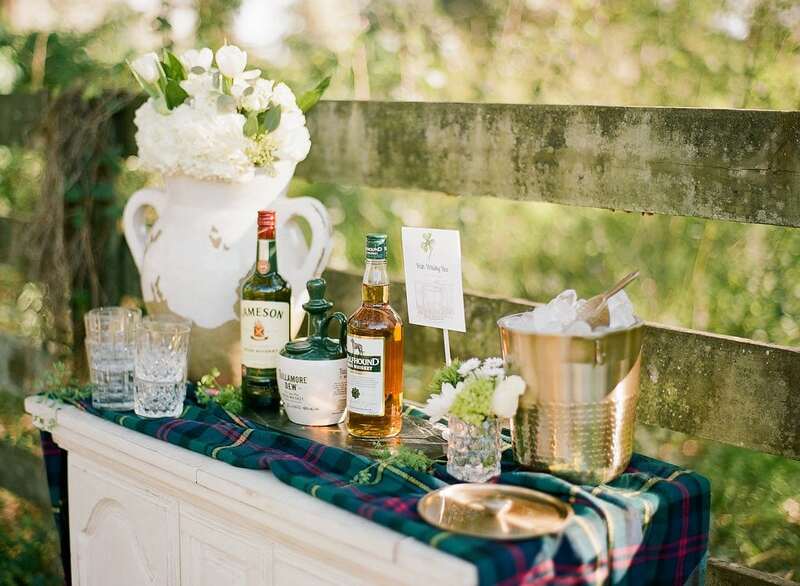 I love the cut glass plates you’ve used and the shamrock felt place mats is a lovely idea. Paddy’s Day is going to be here in no time, can’t wait! !